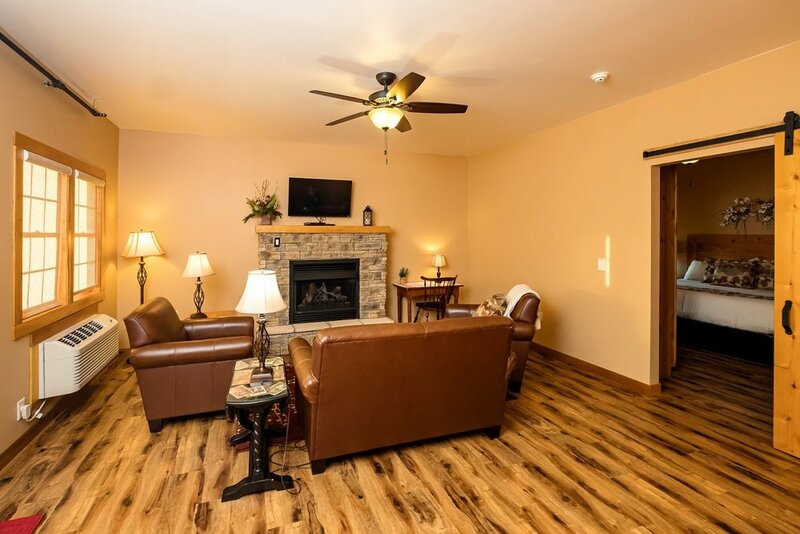 Patoka Lake Winery has 3 suites located above the tasting room. 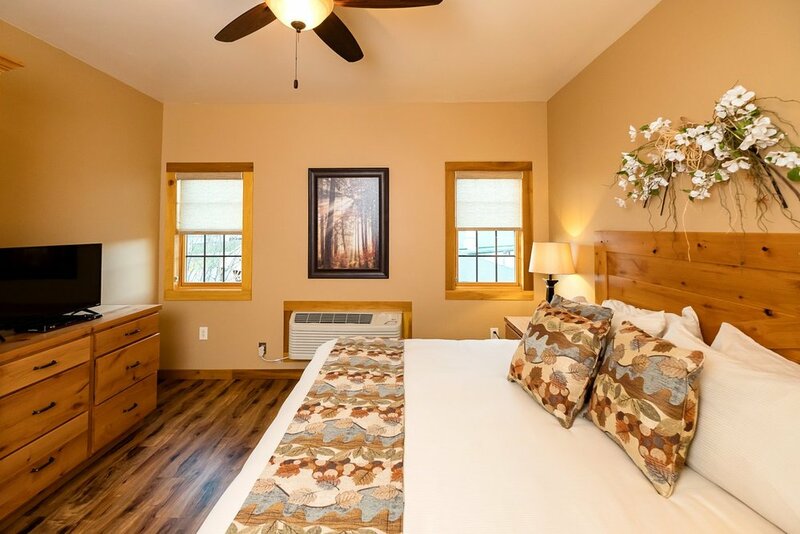 Each has a living room, kitchenette, fireplace, bedroom with king bed, and a full bathroom with Jacuzzi tub. Stay midweek to save...Stay a week to save even more (see special deals). 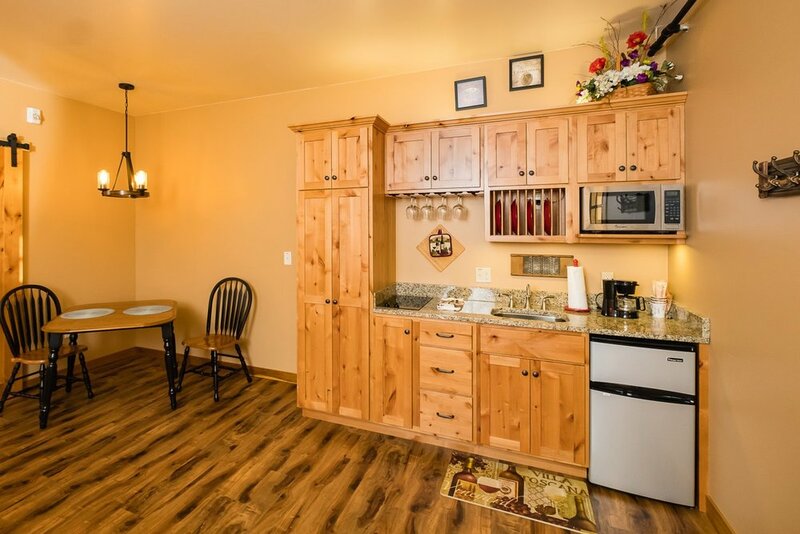 All winery lodging guests must be over 21 years of age and will receive a facility tour by appointment, 2 tasting vouchers, and reserved parking. Check in after 4pm; check out before 11am. Located above the tasting room at Patoka Lake Winery. The living area features a fireplace and flat screen TV. The kitchenette and dining area is open to the living area. The one bedroom has a King bed and flat screen TV. 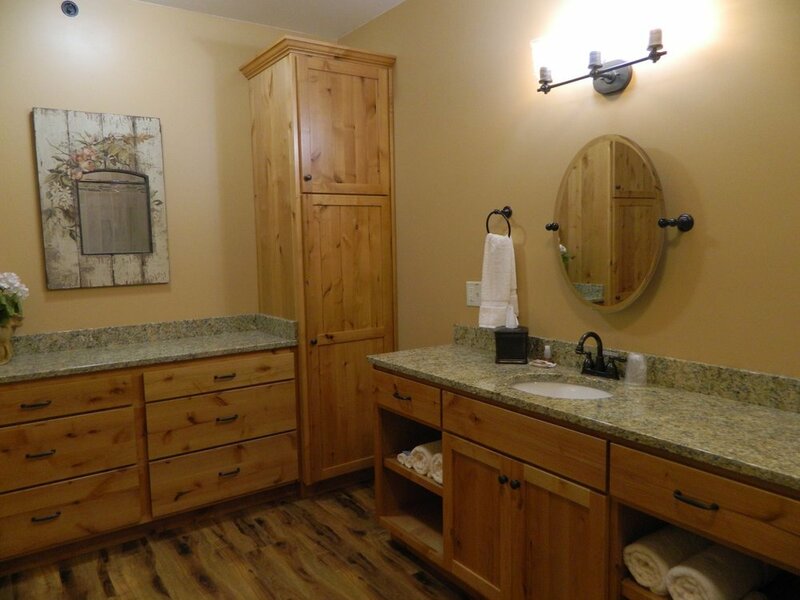 The full bathroom has everything you might need, including a hairdryer. The bathroom features a jacuzzi tub/shower combo. WiFi is available in all Winery Suites. The king size bed is super comfortable.